The sky’s the limit for Mark R. Shaw, vice president-general counsel and corporate secretary for Southwest Airlines Co. When Mark R. Shaw, J.D. ’90, decided to attend Loyola University College of Law, he originally considered becoming a first amendment lawyer. It was a natural thought progression given that after Shaw earned his bachelor’s of journalism degree from the University of Texas at Austin in 1986, he worked as a reporter covering police and courts for the Amarillo Globe-News and then later as an associate news desk editor at the Waco Tribune-Herald. Although Shaw wound up practicing in the corporate restructuring group and in the corporate and securities group at Akin Gump Strauss Hauer & Feld LLP in Dallas after law school, he probably never imagined that ultimately he’d land at a company with a fondness for hosting pajama days at the office. But pajama-clad employees are exactly what Shaw encountered when he entered a stock options meeting with the finance department during his first few weeks of joining Southwest Airlines as an attorney in 2000. “That’s when I realized Southwest was a really different place,” says Shaw, who later became associate general counsel for Southwest’s corporate and transactions section for almost five years before becoming the vice president-general counsel and corporate secretary for Southwest in February 2013. Travel interruptions are one of the many new and common aspects that have surfaced for the airline industry after the events of Sept. 11, which occurred when Shaw had been employed with Southwest for more than a year. “So many things are drastically different now, from travel pans to how the government is involved, whether it’s the DOT or FAA,” Shaw says. “It has been an incredibly difficult decade for airlines in general, especially for American and United, who had planes involved. After 9/11, it became a matter of figuring out a whole new world. It changed everyone’s position at Southwest as far as how we dealt with our operations.” But although the road of adjustments and regulations has been a long one, Shaw sees great things looming on the horizon for air travel. 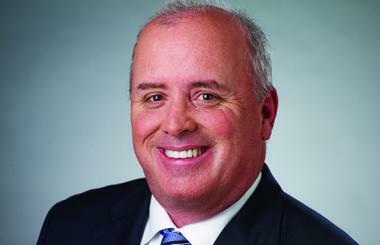 Shaw’s employment at Akin Gump began before he sat for the Texas Bar, and he believes his positions as a bankruptcy associate and afterward in the corporate securities section of the firm, along with the mentorship he received thanks to partners Steve Hatfield and Michael Mandel, proved to be a fantastic experience for him to prepare him for his present tenure at Southwest. It even led to him working in Shannon, Ireland, for six months with GE Capital Aviation Services on aircraft financing and leasing matters on behalf of GE. Shaw was born in Lockhart, Texas, and his father worked for Shell Oil. Shaw’s family was transferred to Slidell at the time he considered attending law school. “I applied to Loyola because I wanted to try a smaller school after being at UT and I wanted to live at home since I had no money,” he says. Loyola proved to be a great match for Shaw. Shaw also relished going out in New Orleans once finals were over. Shaw has taken time over the years to dedicate himself to charitable endeavors, including serving on the nonprofit board of Challenge Air for Kids & Friends, which offers fun flights for disabled children thanks to the efforts of volunteer pilots. Shaw also previously served on the board of the Dallas Chapter of the Association of Corporate Counsel. Currently, Shaw is a member of the advisory board for Southern Methodist Univeristy’s Journal of Air Law and Commerce. But out of all the impressive strides Shaw has made during lifetime, his personal favorite accomplishments are the births of his two children, his son, Matt, who is studying physics at the University of Texas at Austin, and his daughter, Lindsey, the athlete of the family, who plays softball and does cross-country running at her high school. “The births of my children are my proudest moments,” says Shaw, who shares that sentiment with his wife, Kristy, a CPA and controller of a small technology company in Dallas. “Kristy definitely gets most of that credit,” Shaw says with a big grin.